In a much commercialized fashion scene, up-and-coming designers have the freshness of the artist, giving us quirky ideas and making us appreciate the non-trends or the cool side of trends. 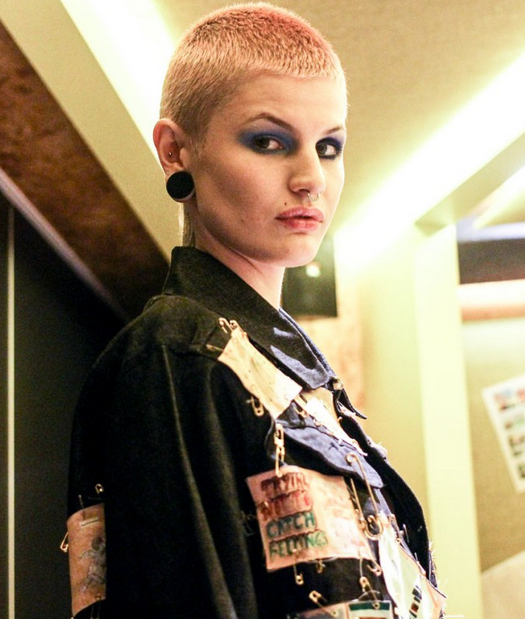 Boldly hued & mismatched eyes seen at the Phiney Pet SS17 presentation during London Fashion Week, were those of a colorful rebel. Being a member of this girl gang means that one of your eyes gets couple of shades darker, as if paint-bruised! Mismatchings and asymmetries not only involve hems this season, but also makeup. With roots in South East London, the designer wanted to thrill us with the happy punky spirit of an exclusive local group of youngsters. It references the stars of the Kings Road scene back in the 70s, yet with a modern touch that calls for neon hair or splashed eyes. This style echoes the rainbow eye makeup Betsey Johnson had last season on her girls, yet this one is way more fierce and experimental. Phiney Pet’s collection was playful with a schoolish innocence and a street edge, and so was the makeup. Thick matte color starts from the lower eyelid, extending in an oval shape up to the brow bone. 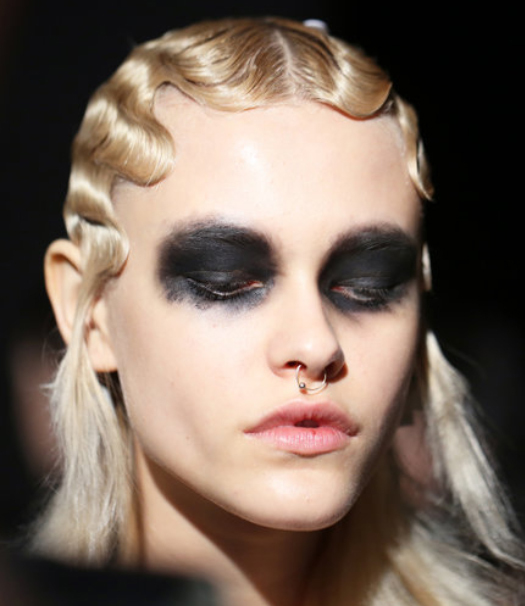 Marc Jacobs suggested an all-black smudge for FW16, but coming next season, and because it will be summer and hot, this smudge gets cheery. It’s not a mainstream thing, but who said we all want to be taken by uniformity and similarity?